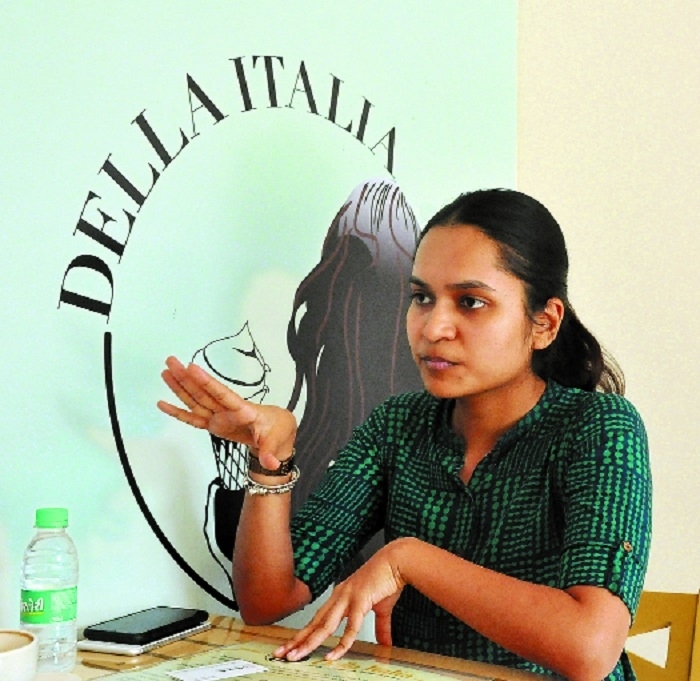 “The best things from all over the world should be available in my city at a reasonable price,” said CA Radhika Kanoria, who has introduced Gelato (Italian name of ice-cream). Her store Della Italia, situated opposite Inspire showroom, Civil Lines, will be officially opened for the public from April 7. Kanoria has done Masters in Management from Warwick Business School, UK and also courses in shoe making and ice-cream making from Italy. She has also launched her start-up of two-wheeler finance. Talking to The Hitavada, she said, “The finance work was on-line and I wanted to have a change and therefore I decided to go to Italy. I joined Italian shoe making course.” She said, “It was in Florence (Italy) in the year 2018, when for the first time I tasted Gelato and was fascinated by its taste. That was the moment when my journey started. Inspired and impressed by it, I decided to bring Italian ice-cream to my own city. I first studied the Italian art of making attractive Gelato in Italy. Then I purchased the same Italian machines and brought it to the city. I also started searching ingredients available in the world.” “I tried to use the best ingredients from different regions to make Gelato.